See the screenshots page for more screenshots. 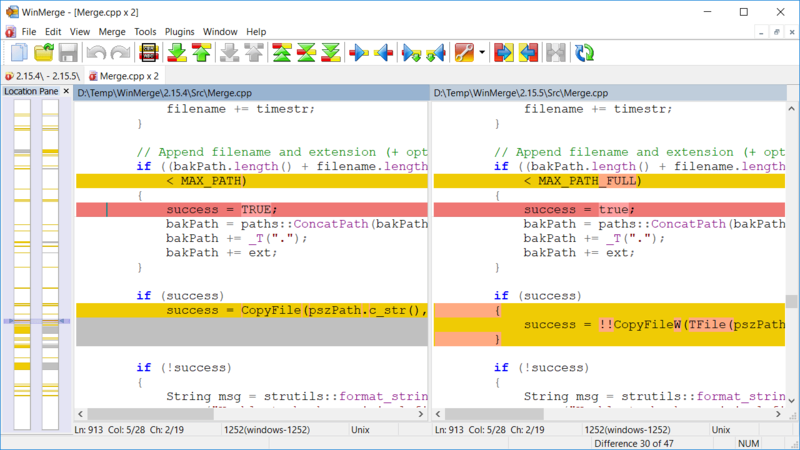 WinMerge 2.16.2 is the latest stable version, and is recommended for most users. If you need support, look at our support page for more information how you can get it. WinMerge is an open source project, which means that the program is maintained and developed by volunteers. In addition, WinMerge is translated into a number of different languages. See our information on translating WinMerge into your own language.